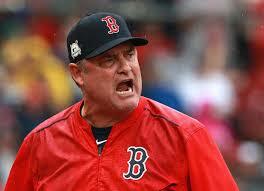 On Wednesday, October 11, Red Sox manager John Farrell was fired. This was inevitable after having to deal with five very inconsistent seasons. His first year with the Sox ended with a stellar World Series victory and what seemed to be the beginning of a very long lasting and winning career. Farrell did a great job of proving all of us wrong. The next season in ‘14 resulted with a 91 loss season and the next not much better with 84, both dumping them off in dead last. Farrell began to show a pulse after this by placing first in the division for the next two seasons but then fizzling out and not making it through the divisional series. Farrell has done a terrible job in the playoffs with the Sox getting nearly swept in the ALDS twice by the Indians and ‘Stros. Changes had to be made and Dumbrowski was prepared to make them. First to go, John Farrell. After hearing this you can feel a weight lift off the Red Sox Nation’s chest knowing that those streaky and inconsistent seasons have hopefully come to an end. The only reason this didn’t happen two years earlier was because he was fighting Lymphoma. Dumbrowski is impatient and extremely competitive but not to the point where he’d fire someone with cancer. He let Farrell stay and the next season he won the division. This bought him some life but winning the division only buys you so much time. The Red Sox nation wanted more and now we are on the path to making it happen. Many things happened this season in the clubhouse that Farrell could not get a handle on. He simply couldn’t control his team. In the beginning of the season Red Sox pitchers were plunking Many Machado after a high slide by him into 2B Pedroia. Pedroia didn’t back up his team saying it’s just another part of the game. This resulted in beef in the clubhouse and made them not play as a team. Farrell could not bring them back together until later in the season. Then David Price got into it with HOF pitcher and NESN announcer Dennis Eckersley with over the top comments of both sides. Farrell couldn’t choose a side here and he payed for it not being liked by either end of the argument. As the saying goes Standing in the middle of the road is very dangerous; you get knocked down by the traffic from both sides. Hopefully this change can bring some much needed life to the Red Sox. Pray to the Baseball Gods this works out. If only Francona had stayed.